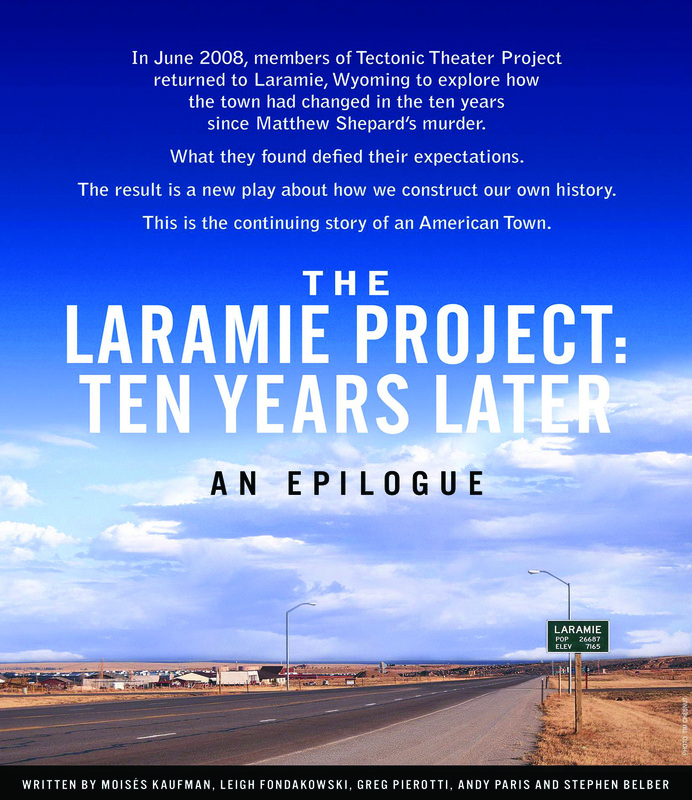 “The Laramie Project: Ten Years Later” called to mind a tragic Wyoming murder on its 11th anniversary. Courtesy tectonictheaterproject.org The Laramie Project’s 10-year anniversary is marked by an updated performance of the play. The Tectonic Theater Project’s latest play returns to a place haunted by a devastating act that leaves many within and outside the town of Laramie, Wyo., to question the hateful act 10 years later. In “The Laramie Project: Ten Years Later,” Moisés Kaufman, playwright, director and founder of Tectonic Theater Project, and his crew return to the town 10 years after their first visit, which gave way to the first play based on the 1998 murder of Matthew Shepard. The death of Shepard, a gay college student from the University of Wyoming who was murdered by two residents, hit the nation with a fury. The epilogue, performed Oct. 12 to mark the 11th anniversary of Shepard’s death, was presented in a select 100 theaters worldwide – including one at Temple. Combined productions by Temple Theaters and Baptist Temple had two performances, Monday evening at 6:30 p.m. and 9 p.m.
Like the original play, “Ten Years Later” consists of interviews and journal entries from the Tectonic Theater Project during the crew’s stay in Laramie. The first play dealt with Shepard’s funeral and the trial of the two men accused of his murder. Through new interviews of the Laramie residents, the theater company showed the audience how the community’s outlook changed in the last 10 years. Interviewees ranged from university professors, officials and townspeople. There were also interviews with Shepard’s mother, Judy Shepard and his convicted murderer, Aaron McKinney, neither one of whom was included in the original Laramie Project. There was no set for the play. Actors approached music stands and read lines like a dramatic monologue, interacting with each other during conversations or interviews between residents and the theater company crew. Sometimes, the actors played out anecdotes told by Laramie townspeople. Lighting, music and minor props like tables and chairs carried any semblance of a set. Although this seems a bit tedious for a play, the story structure and the emotionally charged acting skills of the actors kept everything fresh and intriguing. Actors played multiple roles. The purpose was likely to send a message to audience members that an incident like the one in Laramie can occur in any town and affect its residents similarly. The lack of set allowed the audience to focus its attention on the story being told. Shepard’s attack on Oct. 6, 1998, which led to his death six days later, shrouded Laramie as a homophobic town. The entire play focuses on the residents’ reflections of the incident and looks at Shepard. Physical changes to the town run rampant; Super Walmart and Chili’s were thrown in the mix, the University of Wyoming grew and tourism in the town boomed. The play is full of this dialogue and debate over homophobia as it pertains to the Shepard incident and the town of Laramie. Despite the passing of time, the wounds left from the murder are still fresh and the people are still divided in regards to the issue, and it is all portrayed through the superb storytelling of the play. Audience members would almost surely agree the most powerful moments in Ten Years Later occur during interviews with Judy Shepard and McKinney. McKinney’s hypocritical statements and his “bad memory” claim, along with Judy Shepard’s anecdotes about her deceased son, serve as the play’s anchor. Without them, the play would not have been as captivating.